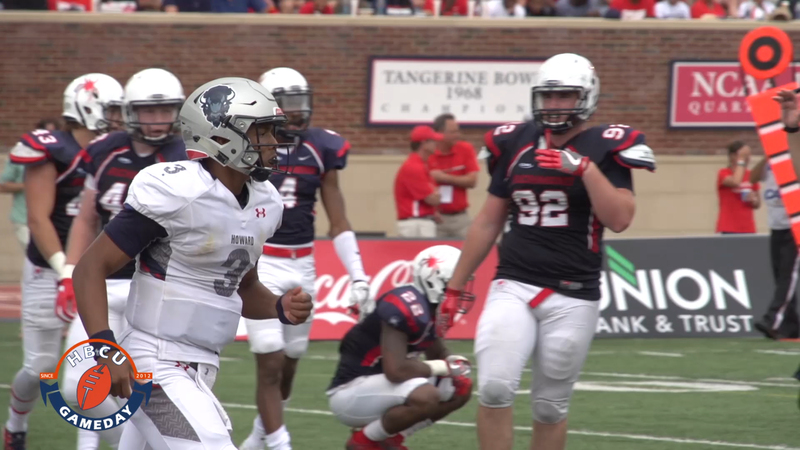 Howard looking to establish itself as a player in the MEAC football race this weekend as it takes on North Carolina Central. It’s no exaggeration to say that NCCU has run the MEAC the last couple of seasons, while Howard has much closer to the floor. Under the leadership of head coach Jerry Mack, NCCU is 23-3 in conference play over the past three seasons, and its won its last seven games. The Eagles have picked up right where they left off in the conference this year, getting wins against South Carolina State and Florida A&M. These were no easy wins for the defending champs, though, as both games nationally televised came down to the wire. Meanwhile, up in Chocolate City, new head coach Mike London and freshman sensation Caylin Newton have the DMV in a frenzy. London and Newton with the “Go-Go” offense brought the buzz back to the nation’s capital surrounding the football program. This week is that big game for the Bison, who will once again look for Newton to lead them victory against the defending champs. The freshman scored the game-winner against Bethune-Cookman two weeks ago and is averaging 97 yards per game on the ground. The Bison will need Wright and Newton to play well on Saturday. The two have been on one accord so far this season as the Bison have second-ranked offense in the MEAC averaging 30.2 points per game and 422.2 yards a game. NCCU is also led by a freshman quarterback as Chauncey Caldwell has had some big runs for his team in their back-to-back MEAC wins over FAMU and SCSU. This game will be a measuring stick for both teams and could dictate a lot for the conference for the rest of the season as HU and A&T won’t meet this season and both teams look like contenders for the conference title. Lets go HU. Then we gonna whip you very well in Tallahassee.